Good afternoon. 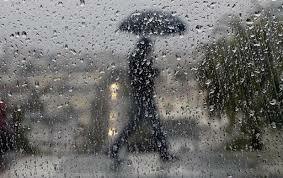 For the evening forecast, we can expect a cool and wet night. 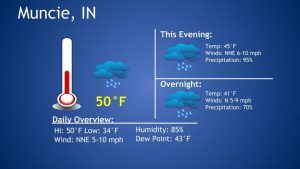 Rain will likely continue until the nighttime hours and the temperatures are expected to drop into the high 30’s to low 40’s. Have a great night!